This post has 1,675 views. My parents came down to visit me a little while ago, and as part of their visit we drove down to Florida for a family road trip. It’s the first time that any of us really visited Florida (ignoring that one particular conference trip where I stayed in the Orlando Airport the whole time), and we had a great time. 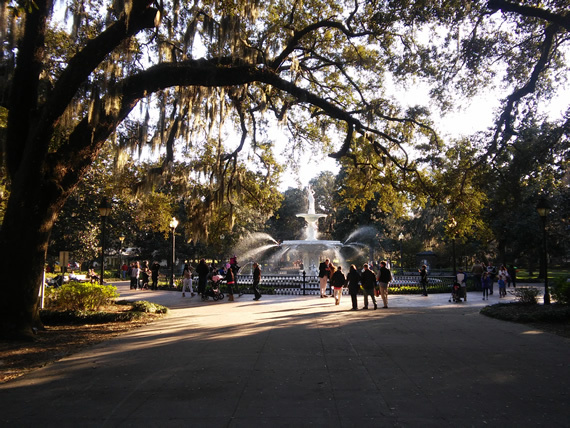 We picked a really good time to go as NC was having a cold spell but Florida was still warm and sunny. Read on for highlights of our little family road trip. This post has 5,745 views. A little while ago I went on a conference trip to Orlando, Florida. Back then, the Northeast was still pretty cold, while Orlando was sunny and warm, so it was certainly a great destination to go to. Unfortunately, the conference took place right at the hotel inside the airport, and so I ended up staying in the airport through almost the entire trip. It was a short trip and we didn’t have much free time, but just going outside for a couple of hours to the actual city would have been nice. At least the hotel and airport were quite nice though. The Orlando Airport is one of the nicest airports I’ve been to in the United States. The Hyatt hotel is right on top of the main airport lobby which is shown in the picture below. This trip was the first time I’ve been to Orlando or Florida. I didn’t really get to go anywhere, but hopefully I’ll make it back there some day as a tourist and actually visit the city. 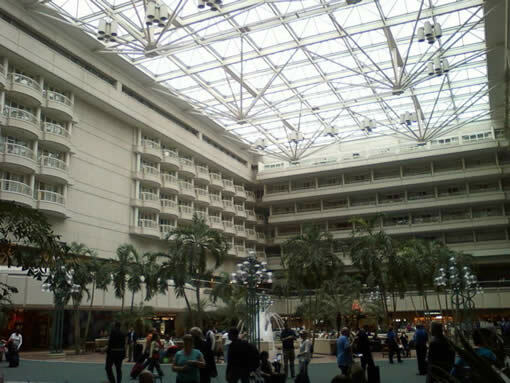 The main lobby of the Orlando Airport and the Hyatt hotel sitting right on top of the lobby.